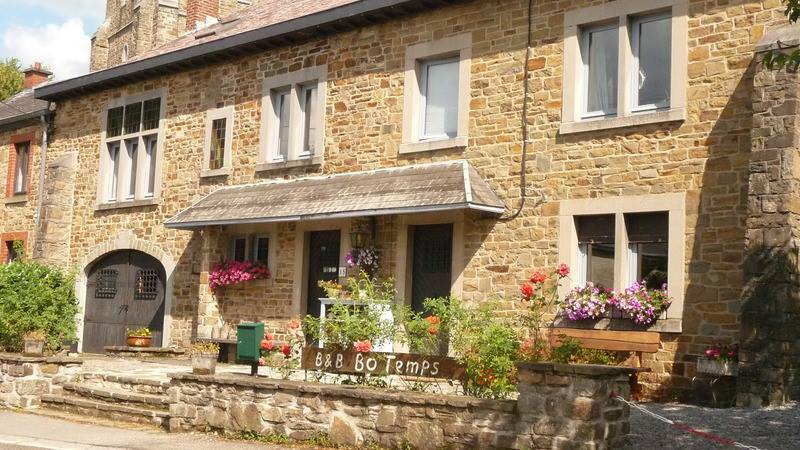 Guesthouse Bo Temps – Our recommended accommodations in the Ardennes! Footsteps Researchers highly recommends this fabulous lodging experience if you are traveling to the heart of the Battle of the Bulge country in the Ardennes. Located in the center of the small village of Grandmenil, Belgium, this bed and breakfast is the place to make your reservation. You can’t miss it… it is next to the town’s church… just look for the steeple and next door is Bo Temps! When we say the owners make this place special, we mean it! Bob and Eveline Konings are truly a joy and raise the bar with their customer service. Everything about Bo Temps is outstanding; food, rooms, atmosphere, garden, and even the cats. Our favorite unique experience is visiting Tom and Ben’s Museum… the brilliant work of the Konings’ sons. Our rating is 5 stars!!! To top it all off, we have added Bob Konings to our team at Footsteps Researchers. Bob specializes in Battle of the Bulge tours. His knowledge and great storytelling ability make his boots-on-the-ground tours a one-of-a-kind experience. We are excited to have Bob as our expert for the Ardennes, Aachen, Hurtgen Forrest, Battle of Grandmenil, The Ottre Massacre, 75th Infantry Division, 3rd Armored Division, and 551st Parachute Infantry Battalion. Reserve Bo Temps and book a battlefield tour! It doesn’t get any easier than this!